Save on your energy cost with temperature control. Easily control thermostats, lights and small appliances with our energy management services. Align your temperature settings with your activity patterns. Set temperatures to automatically rise when you are away from home and lower when you return. 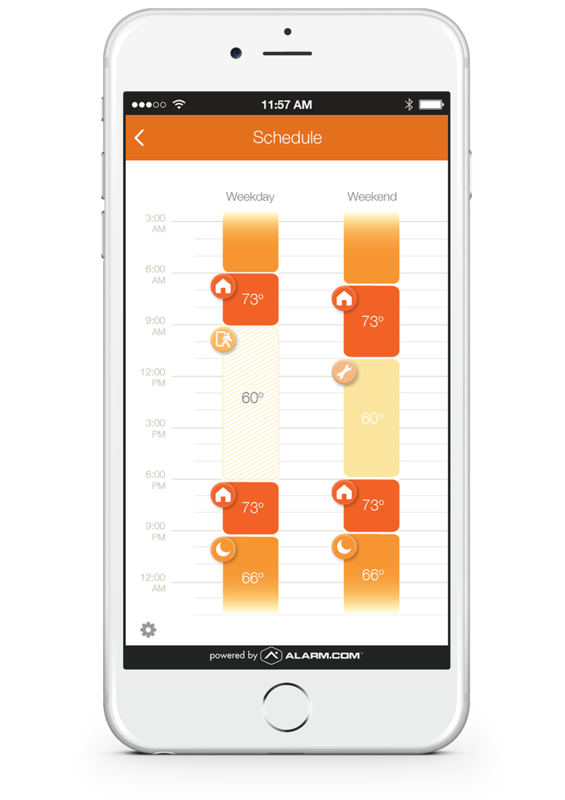 You can set schedules based on time of day or days of the week. Change the temperature of your thermostat at any time, from anywhere, regardless of preset smart schedules for maximized control. Your home can sense when you are leaving or arriving based on the location of your smartphone. The temperature of your home will automatically adjust based on where you are. Save energy while you are away and always arrive to a comfortable home when you return. Learn More.Call Strada Security and schedule an appointment with one of our home automation specialists. Call 877-906-7772. Strada Security works with the nation’s largest home builders. We have installed systems in thousands of homes throughout Florida. If you are in the process of buying a new home or have recently closed on a home with a pre-installed Strada Security system and/or home automation system, call 877-906-7772 to activate your system and put the control of your home’s major systems in your hands.